Make Log Furniture, 3 Legged Log Stool — Many persons would like to make their own log furniture, however, such individuals believe the project would take up much of their time. Some other folks believe they would have to spend a lot of money on tools to make log furniture. If that is also what you believe then read on because this article will show you that such assumptions are simply not true. This Article will examine what most persons consider the simplest type of log furniture that can be created, and it may interest you to know that if you’ve not purchased all the tools required for this task already, your neighbor almost certainly has them. The following discussion is in 3-legged log stool. You will find out how simple it is to create one of these for yourself. 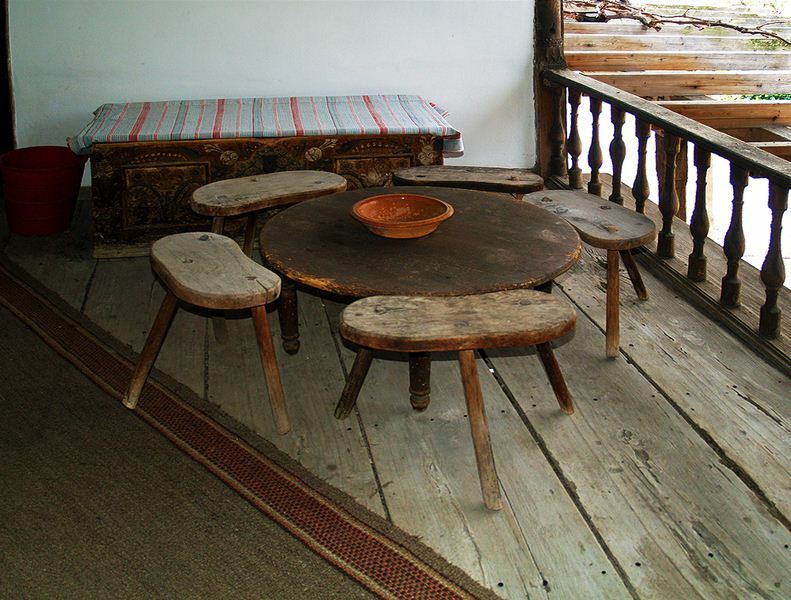 Log furniture is a very old style of furniture created by man. It is likely that once the cavemen discovered how to make tools and create things, they soon began to make things that will serve as seats. 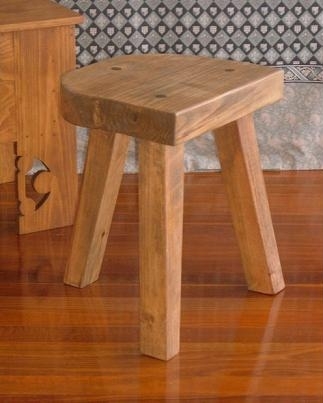 Little log stools are certainly among the first types of furniture ever created using simple hand tools. If you’re new to woodworking, creating a little log stool will make a good first project for you. Why Is It So Easy to Make the 3-legged Log Stool? To fully appreciate the answer to that question you only have to take a good look at a 3-legged log stool. You’ll observe that for each of these tools, there is a piece of log on which one can sit and the piece is supported by 3 simple legs. If you describe the 3-legged log stool as a basic tripod which supports a cut off a slice of log, then you are absolutely correct. How Do You Attach the Legs on the Log Stool With Three Legs? One thing those who are new to woodworking will learn while creating a log stool with three legs is how to make use a very old joinery technique. The mortise & tenon joint. You create a mortise by chiseling or drilling a hole into any wood piece that will take a tenon, while a tenon can be described as any wood piece that is formed to fit in a mortise. To construct a 3-legged log stool, first, you drill 3 evenly angled and spaced holes into a log piece after which you put 3 small tree branches or limbs. To make a log stool, all you have to do is cut and drill logs after which you attach the limbs to form legs. Which Tools Are Required to Create a 3-legged Log Stool? It’s a fact that there is an appropriate tool for each job. For some jobs, you will need many tools. To make a log stool with three legs, all you require are a few essential household tools you possibly already possess lying somewhere in your house. Presented below is a list of the essential tools you will require to create a 3 –legged log stool. Circular saw or hand saw. If you intend to quickly finish this easy woodworking assignment, remember that it always requires a little more effort and time if you use hand tools than when you use power tools. If the power tools mentioned above are not already in your possession, chances are that your neighbor has them. Now you know that it is not so difficult to make log furniture with your own hands.